An oil change is necessary to increase the performance and fuel efficiency of your engine and maintain the overall health of your vehicle. Don’t trust just any amateur auto shop to do the job for you. Tropical Performance is home to professional service and expert advice when it comes to providing an oil change in Fort Lauderdale. 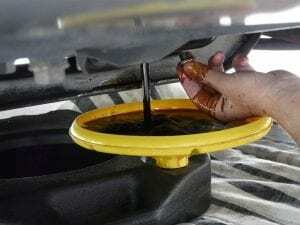 Regular oil changes are significant to the life of your engine. The right and high-quality oil helps keep your vehicle’s engine clean and dust-free, reduces overall wear and enhances its performance. The performance of your engine can be impacted if you don’t change the motor oil regularly. Issues including loss of overall engine performance decreased gas mileage, and additional wear and tore on your engine which can reduce the life of your vehicle. We are proud to offer our customers full-service oil changes at a fair price. Our professional and trained technicians will be happy to assist you in making sure the job is done the first time. We can help you choose the best and top-quality motor oil for your vehicle. Whether your car needs a synthetic blend, synthetic, conventional, or high mileage oil, we can provide you with the top manufacturers motor oil brands at our shop. Our Fort Lauderdale clients will significantly benefit from our knowledge, so schedule your appointment online for an oil change and trust our ASE-certified technicians to care for your engine! With today’s hi-tech vehicles, even an oil change requires in-depth knowledge of vehicles engine and its specs, everything you’ll get working with us. We have the advanced technology, right parts, and tools to help ensure your service is done the first time correctly. With us, an oil change is so much more than just an oil change. When you choose us for the oil change service, you receive a complete vehicle inspection that includes a pressure check, tire rotation, synthetic blend oil change, battery test, brake inspection, hoses check, Multi-Point Inspection, and fluid top-off — all for a very competitive price. We are your one-stop shop for all your vehicle needs.